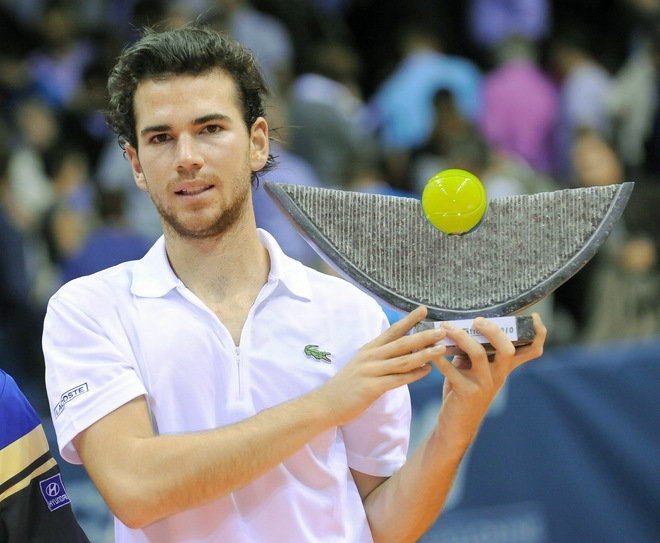 Frenchie Adrian Mannarino (Troy!) 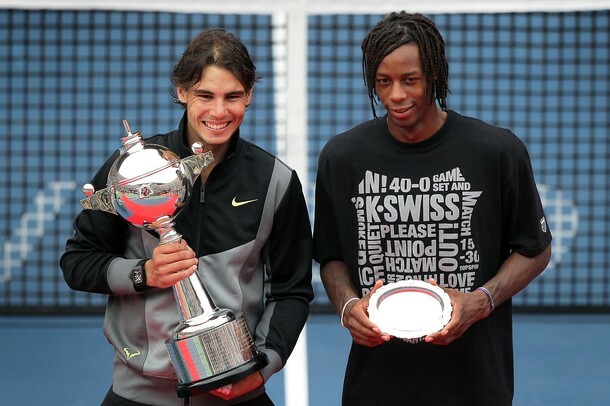 took out Steve Darcis in straight sets to take this little slice of the Ethias Tennis Trophy in Mons, Belgium. 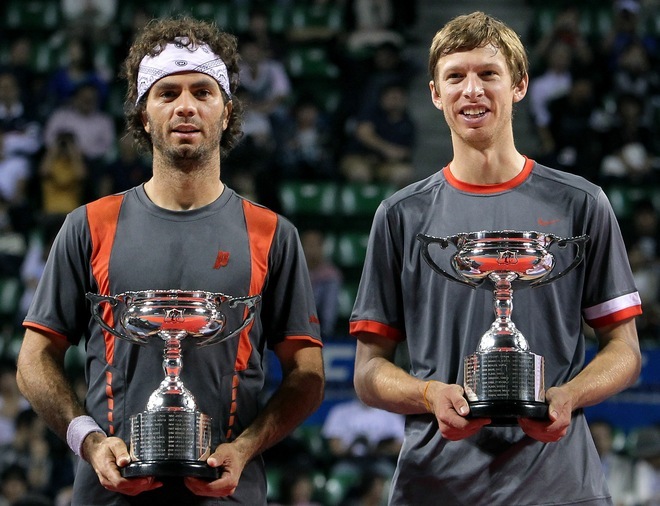 On the doubles side, Eric Butorac and former Bruin Jean-Julien Rojer won the final match against Fila boys Dmitry Tursunov and Andreas Seppi. Two snaps to Prince and Nike for coordinating the colors on the kits of the winning team. 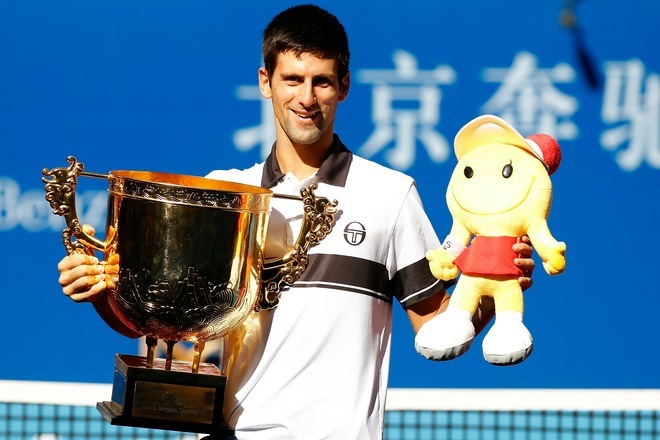 And in Beijing, rain-delayed finals didn’t produce any upsets, with defending champ Djokovic and Wozniacki fending off Ferrer and Zvonareva. 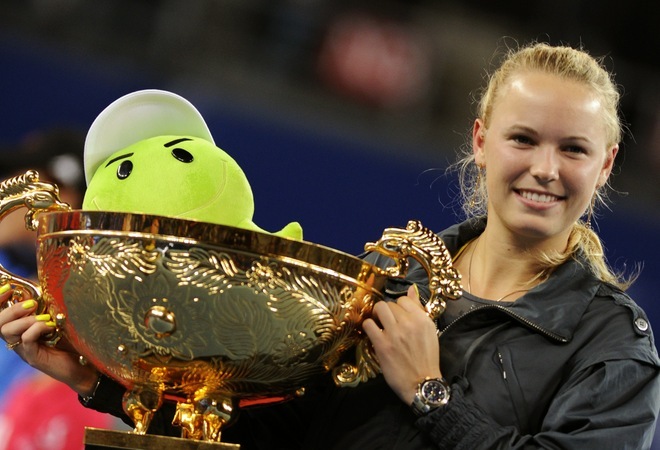 Caro takes her second trophy this week (the first for reaching the world No. 1 ranking by overcoming break advantages from Vera in the first set. (The Russian even won the second set.) Both ladies can take this performance as a confidence boost going into the women’s year-end championships, held in Doha. Oh, Gael. What is with that man weave? !